Joyce Elaine Harry, 77, of Manchester, Iowa, passed away surrounded by her family, on Thursday, August 30, 2018, at her home in Manchester. She was born on August 1, 1941, in Iowa City, the daughter of John and Frances (Pulver) Dyer. Joyce was raised and educated in Manchester and graduated from Manchester High School. On October 6, 1962, Joyce was united in marriage to Roger Harry in Manchester. Two children were born to this union. The couple lived in the Twin Cities area in Minnesota and then Cedar Rapids, Iowa, before returning to Manchester in 1967. Joyce worked for the OIiver Corporation in Minnesota and then for Life Investors Insurance while in Cedar Rapids. 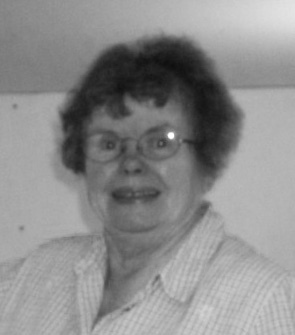 Joyce enjoyed cooking and baking. She also liked to tend to her flowers. Joyce loved her cats and was an avid Chicago Cubs and Iowa Hawkeyes fan. She loved her family and enjoyed spending time with them. Survivors include her husband of 56 years, Roger Harry of Manchester; her two children, Lisa (Jim Roach) Harry of Minneapolis, Minnesota, and Brian Harry of Manchester; two grandchildren, Ella and Levi Roach; one sister, Mary Kay (Cletus) Harry of Rochester, Minnesota; one sister-in-law, Darlene Dyer of Dubuque; and several nieces and nephews. Joyce was preceded in death by her parents; her twin sister, Janis Dorman; and two brothers and a sister-in-law, John and Phyllis Dyer, and Gary Dyer.